8 gallon HEPA wet/dry vac that packs extractor level of power, super quiet design. Designed with German Wap technology. This vac is the new version of Turbo and SQ series. Our customers who have used the Turbo, SQ, or Aero series vacs really like the new Attix models. 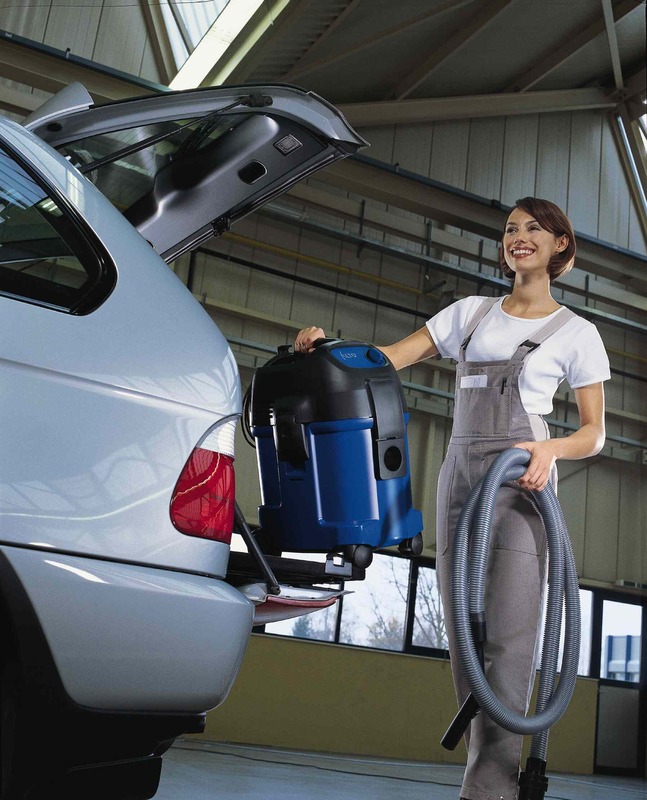 If you have questions about any vacuum, we're glad to answer them. Click HERE to compare Attix 30 (8 gallon) models. **Certified filtration to 99.99% at 0.3 microns, exceeding EPA Renovation, Repair and Painting Rule (RRP) standards for HEPA filtration. **Meets OSHA asbestos, lead and mold recovery requirements. For 30 years, Nilfisk vacuums have been trusted to clean toxins from the Space Shuttle after returning from outer-space. This model includes the Softstart technology, which gently gears up the motor over 2 seconds to create less wear and tear over time with many on/off cycles. Versatility - you can unscrew 0.3 micron HEPA filter and replace with the optional 1.0 micron washable PET-fleece filter for non-HEPA depending on your need. I had done significant research on the web looking at the 3 high-end players in the shop vac world; Festool, Fein & Nilfisk. I decided on Nilfisk because it seemed to be the one designed from the ground up as a top quality, robust shop vac. Having spent a good deal of time querying Reade regarding the product, I knew it would be the right choice for me. The unit arrived promptly and the box intact yet Fedex had laid it on its side so an extra hepa filter arrived damaged. I contacted Industrial Vacuums, described the damage and a new filter was promptly sent to me. 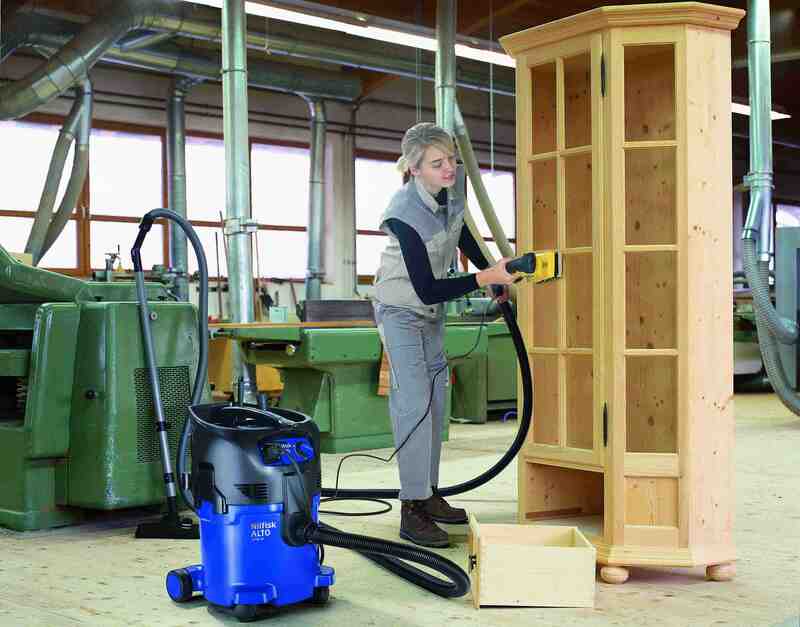 The vacuum itself is a well built, nicely designed vac that appears very robust with tight tolerances and a clean look. It is very quiet, powerful and the platform very stable. I know it is more costly than the vacs for sale at other stores, but this is a classic example of "you get what you pay for" in my mind. I am thrilled with my purchase and pleased with the excellent service I received from Reade at IV. This is the best vacuum I have ever owned. Nothing gets through the filter, not even drywall dust! Very powerful suction, very durable design. In my experience this beats all other shop vacs and other vacs I've ever used. Worth every penny.